Plan your next event in The 'Ville with the help of the Louisville Postcard. 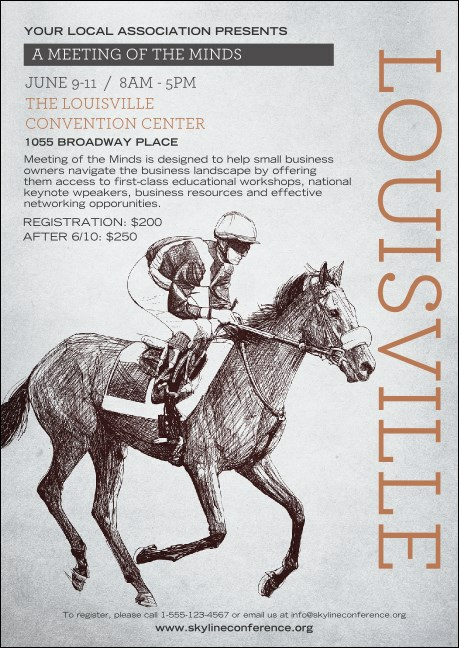 Featuring a beautiful sketched image of a Louisville tradition — horse racing — with rich grey tones. Whether you're planning a small, intimate concert near the University or a big festival on the Ohio River, spread the word with the Louisville Postcard.